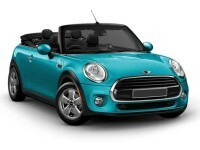 Superb Car Lease Deals on Mini Automobiles at Auto Leasing NJ! When you’ve decided to lease a new Mini vehicle or to upgrade from your old lease, there’s absolutely no better place to do so than at Auto Leasing NJ. We have every model available with any combination of factory options and even color that you might desire. 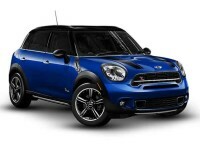 If you’re looking for a Mini Paceman or the Mini Convertible, or really any other vehicle currently being made by Mini, you owe it to yourself to check out the Mini leasing deals on offer at Auto Leasing NJ! 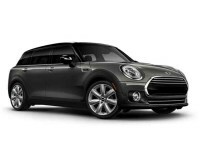 You won’t find a better Mini car lease anywhere, and that includes both our incredibly low monthly leasing rates as well as our huge selection of Mini vehicles! A Mini auto lease from Auto Leasing NJ is your best option for Mini leasing anywhere in the state, and we make it easy to get your new lease, from vehicle selection to financing terms to the delivery of your vehicle right to your door, for absolutely no charge! We know we’re the best in the leasing business, and we want to prove it to you! Check our Mini inventory page to find the Mini that you want, or if you already have a car in mind, call 609-830-0066 to inquire directly! Traditional leasing agencies have incredibly high overhead costs simply by virtue of their business model, which is generally to present the illusion of limitless selection with a large fleet of vehicles that they own on a car lot that’s as big as possible. Right there, overhead costs are through the roof: first, they have to rent a large parcel of land on which to place their car lot, or buy it at tremendous cost (and pay steadily increasing property taxes on it each year). Then they have to outfit themselves with a fleet of automobiles to offer for lease. This means not only buying cars to fill their lot (a huge initial cost that has to be amortized over years and comes straight out of your pocket when you lease one of these cars), but also upgrading them with each new model year and selling them at a loss when they’ve gone out of date. Auto Leasing NJ does away with this whole mess, first by having all of its operations online so that our website is our showroom, and second by utilizing our close relationships with Mini dealers throughout the state to offer their selection as our inventory, meaning that not only do we get rid of the up-front cost of buying all these vehicles, but also can offer a wider selection than anyone else! To find out more, look at our Mini stock page or call us at 609-830-0066 today! Another downside to leasing from a traditional agency is having to visit car lots, deal with salespeople, and fill out a ton of paperwork. Auto Leasing NJ’s online system makes this all obsolete! 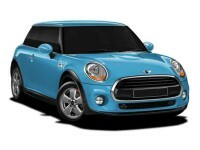 First, selection of the vehicle for your Mini car leasing needs (like the Mini Countryman, the Mini Hardtop 2 Door or the Mini Clubman) is done from our inventory page. The application form is all online and easy to complete, and once you’ve submitted it, we arrange financing and credit approval for you! 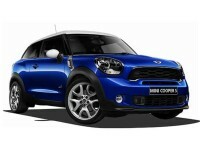 Then, once you’ve accepted the Mini lease terms, we deliver the car straight to your home or office! It doesn’t get more convenient than this! Look at our Mini inventory, or to inquire about a specific car, call 609-830-0066 today!